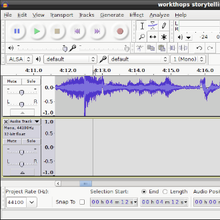 Audacity is an 'audio editor'. It can record sounds, like voices or musical instruments, or import sounds from a portable recording device like a sound recorder or phone. You can combine these voices and sounds and edit them to make documentaries, music, podcasts, etc. 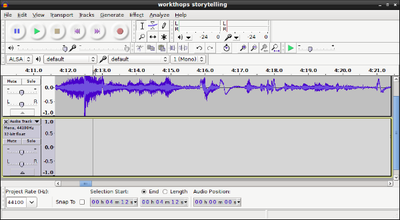 The ability to edit and layer different sounds on top of each other brings the power of a recording studio to your computer. There are also many audio effects that you can add to your project. However, Audacity isn't really suitable for the more complicated needs of professional musicians. If you need to take things further then try Ardour (for Mac OSX or Linux) which is another free software program, suitable for more advanced use.